Our maintenance plumbers are focused on problem solving to fix your maintenance issue efficiently and effectively. 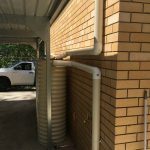 Maintenance plumbing is a unique area of service, as you’re working with existing structures, fixtures and fittings, and often the fix requires adaptation and flexibility to solve the issue. Our expertise in this area will ensure that your maintenance plumbing is fixed in a timely and reliable way. Fixture Relocation or Replacement may include moving the in wall plumbing and either suspended or in slab drainage to suit the new model. We are qualified to complete the fixture relocations for you with minimum trouble. We also submit the Form 4 to Queensland Building and Construction Commission for the works ensuring our work is compliant to Code. Guttering in good repair on houses is not only done for atheistic reasons, the effective flow of storm water into the storm water drainage system can prevent water running over guttering and entering the eaves of your house, causing water damage to ceiling and structural framing. 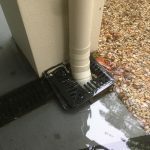 By maintaining clean gutters, removing and replacing rusted sections and ensuring gutters have the correct fall, we can assist in effective storm water discharge. 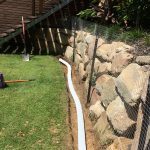 Storm water rectification also includes installation of aggi lines, diverting sub-surface water away from dwelling, waterproofing external walls of dwelling, connection of yard pit to main storm water lines and landscaping of yards for optimal storm water drainage. Storm water is an area of maintenance not readily thought of but have have flooding effects on the house and yard and needs to be managed for optimal drainage. 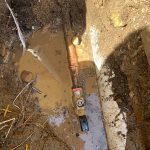 Sewer line section replacement or complete new line connection are another maintenance concern that only becomes apparent when the drain is not working. We can efficiently address the blockage and then rectify with our high pressure jetter and drain camera to ascertain the exact cause of concern. This is cost effective for you and allows us to provide an efficient service.